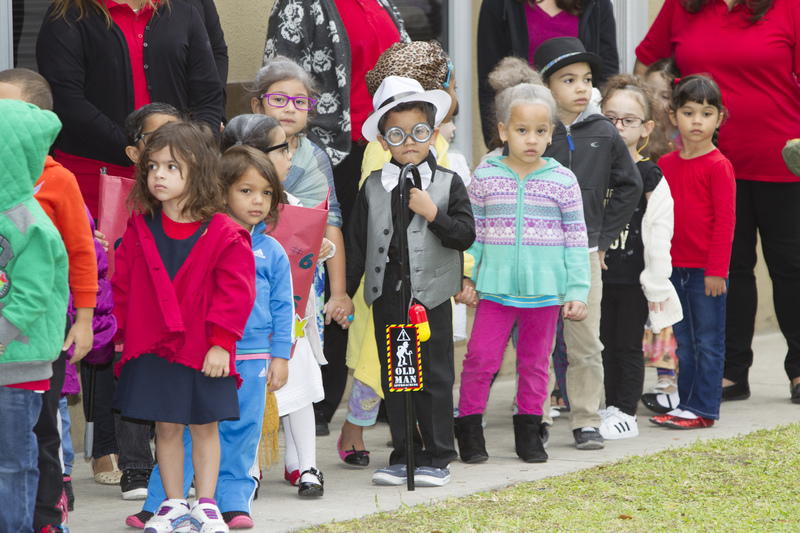 In conjunction with the Florida Department of Education’s Celebrate Literacy Week, Florida! 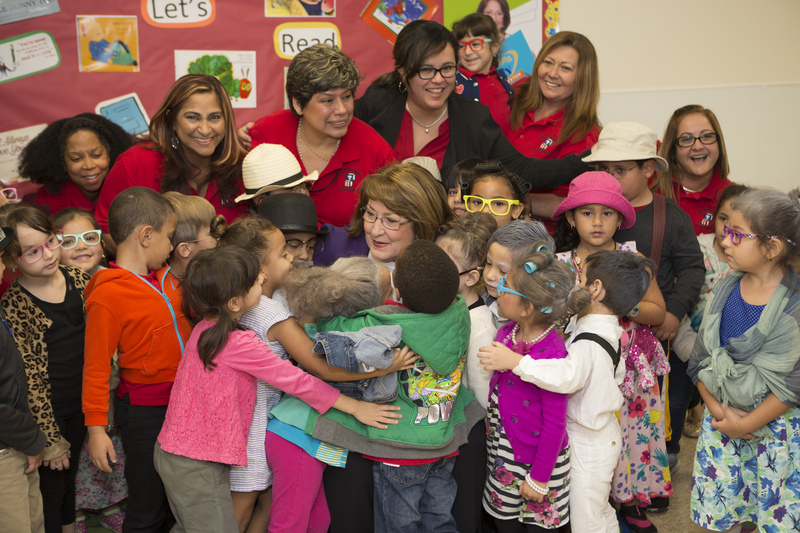 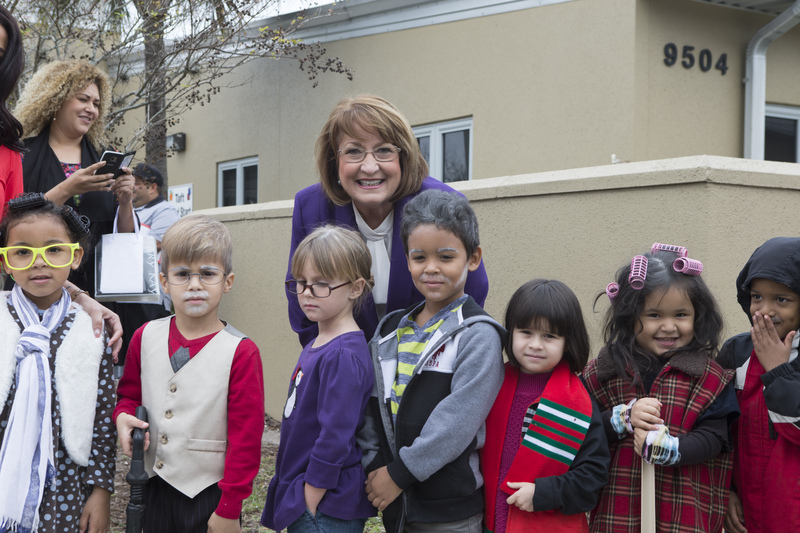 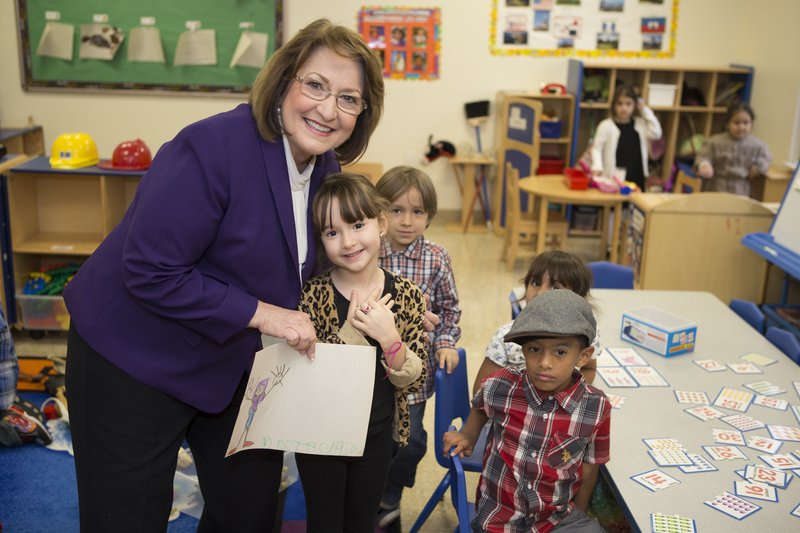 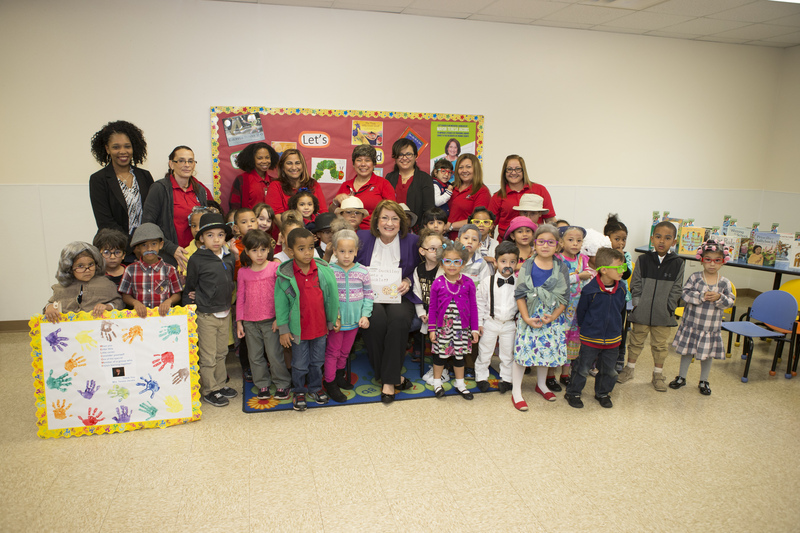 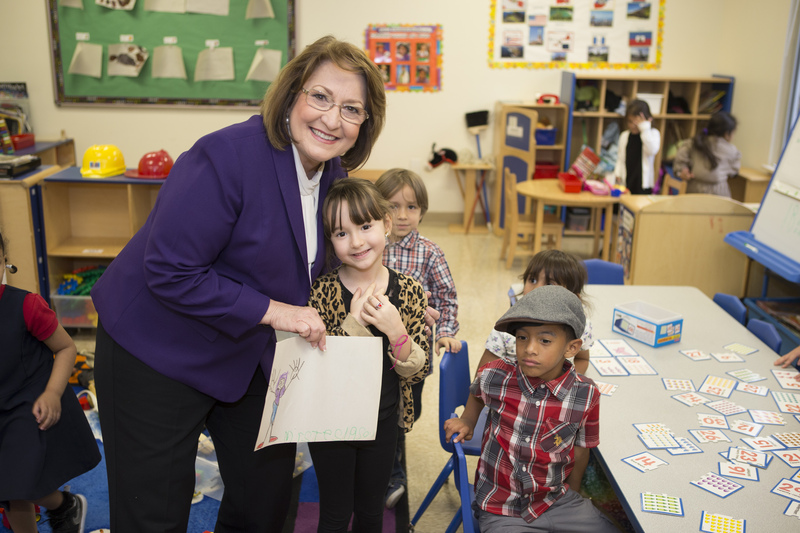 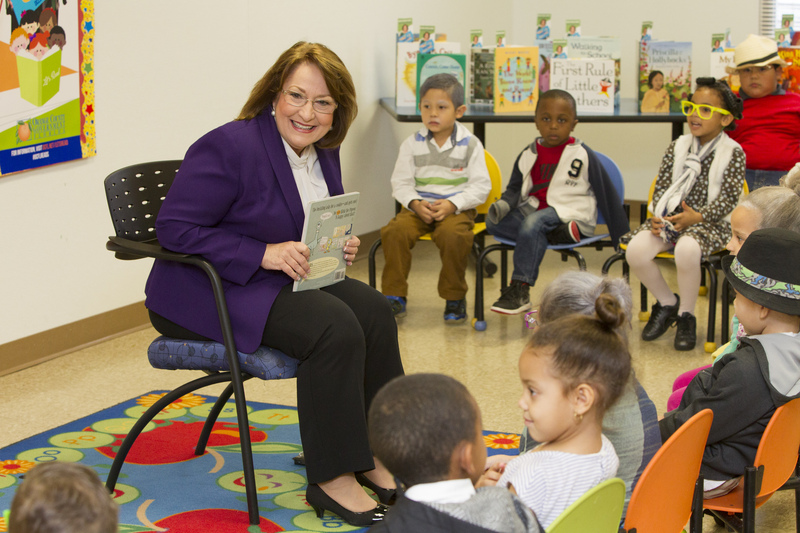 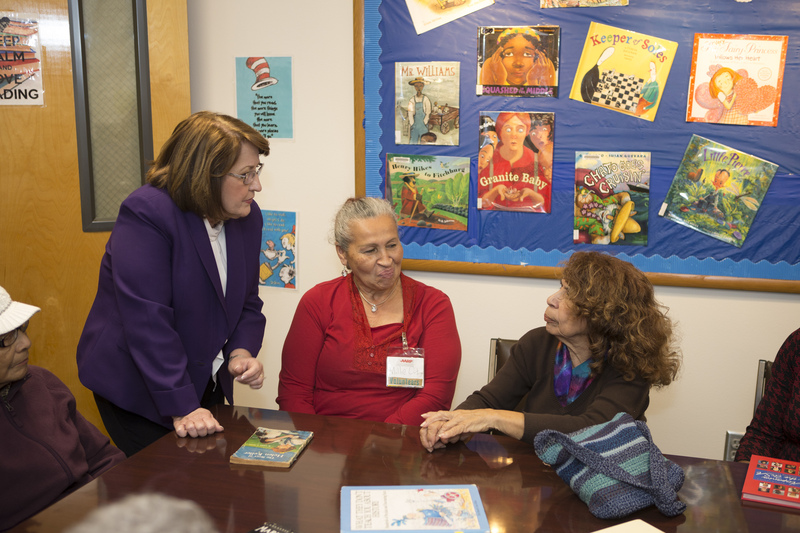 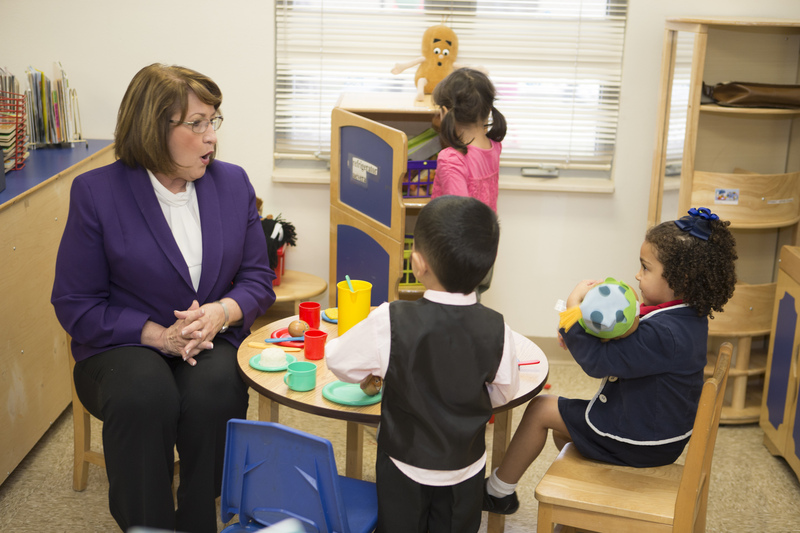 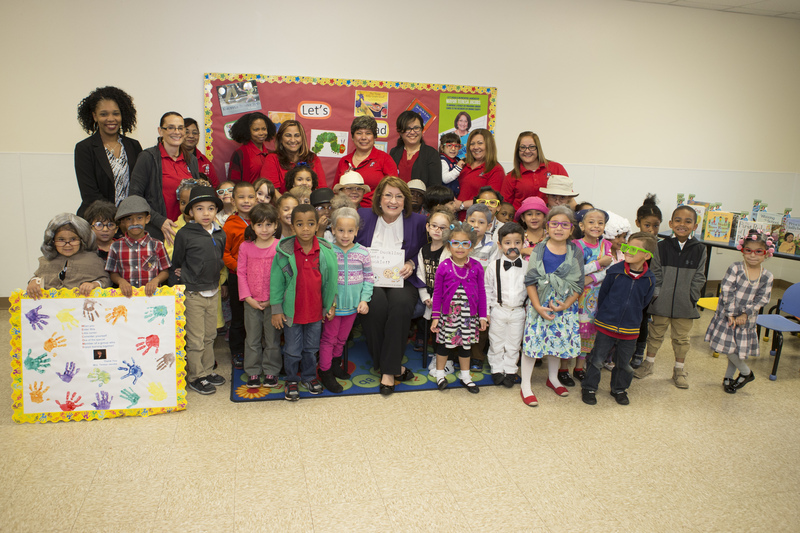 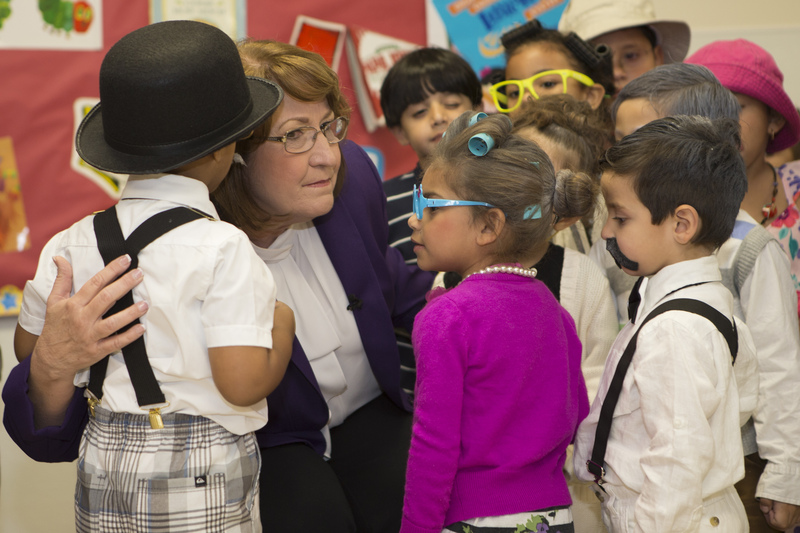 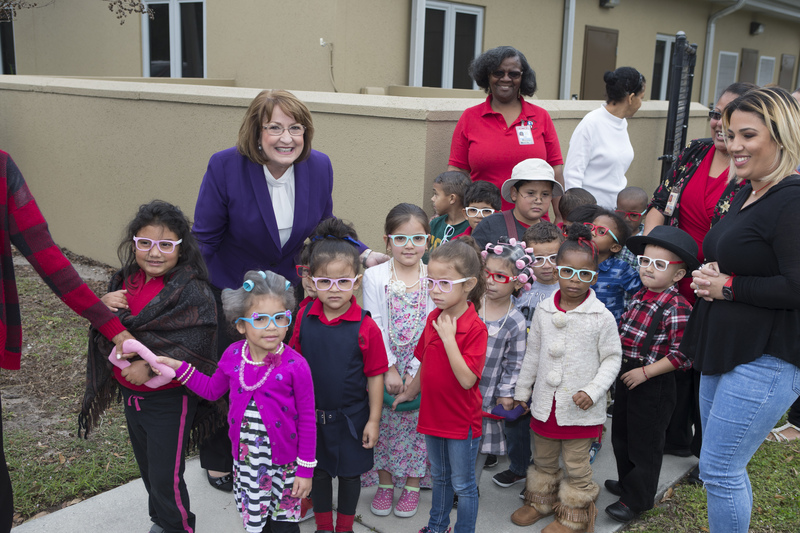 initiative and to help raise awareness about the importance of reading and libraries, Orange County held a series of literacy events that concluded with Mayor Teresa Jacobs reading to 40 local children during Orange County Head Start’s 20th Annual Guest Readers Week on Jan. 27. 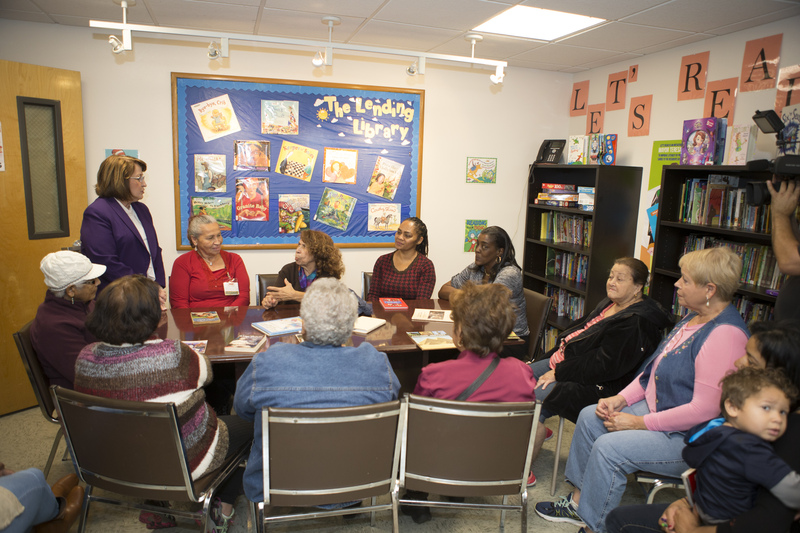 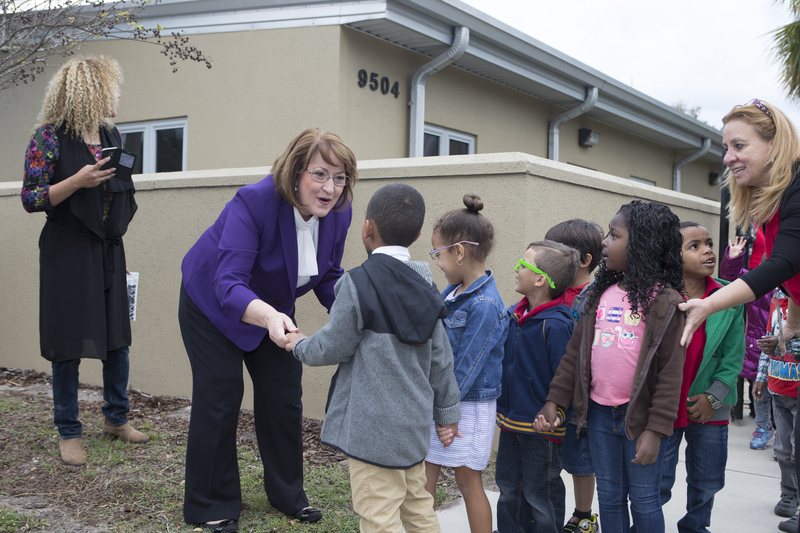 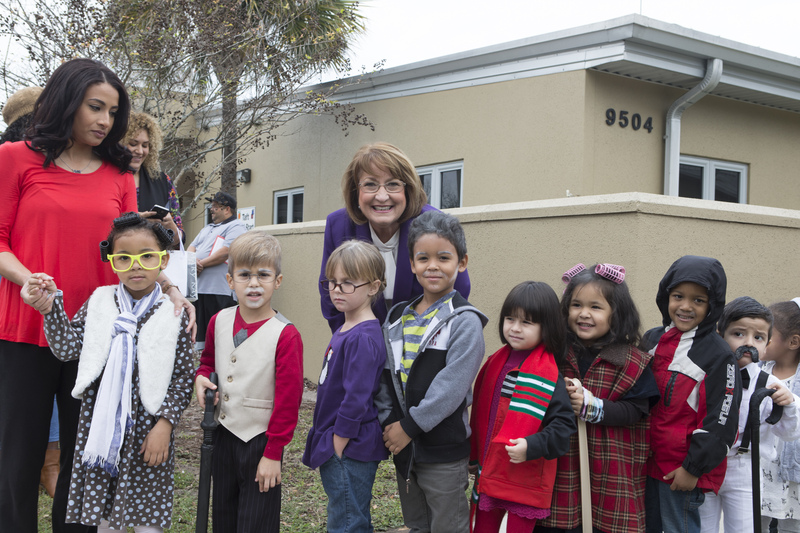 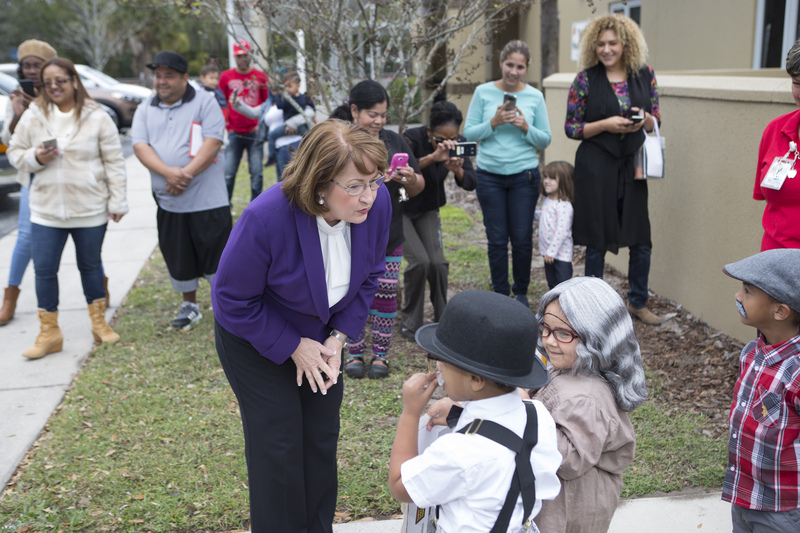 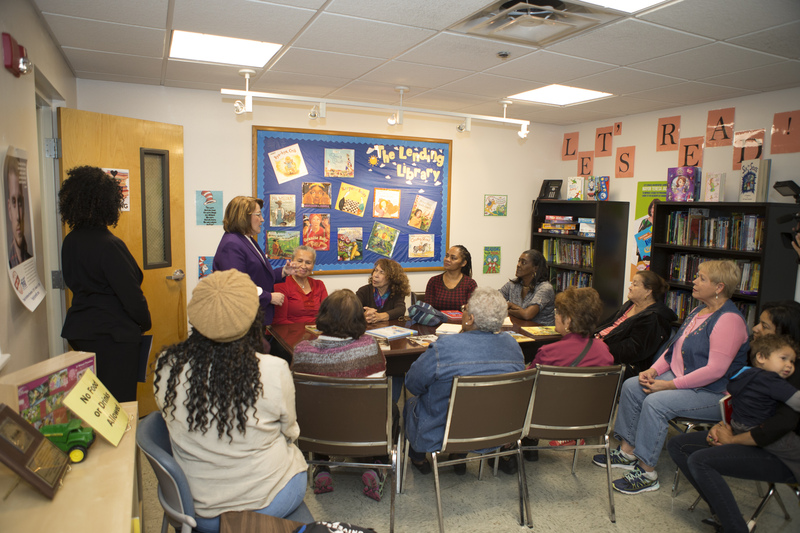 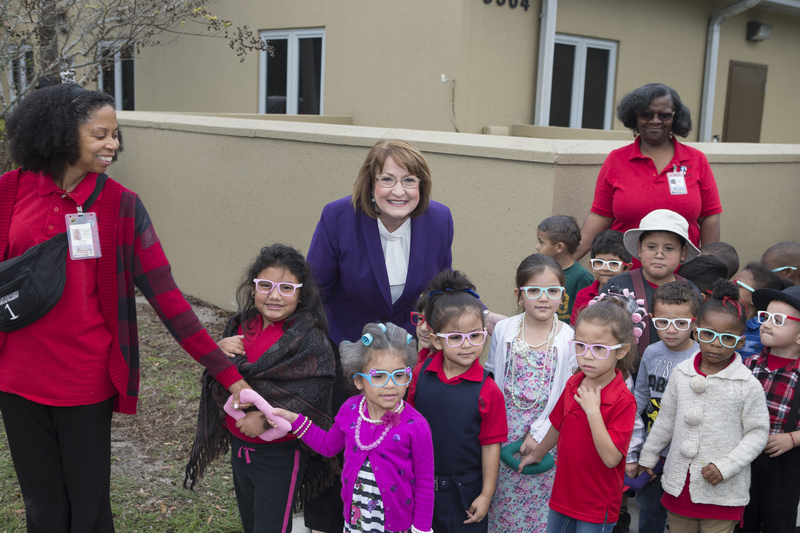 Celebrate Literacy Week, Florida!, observed Jan. 23 through 27, also provided an opportunity to highlight Mayor Jacobs’ recently launched Let’s Read Orange County initiative, which aims to improve reading and access to books by providing library cards to local residents. 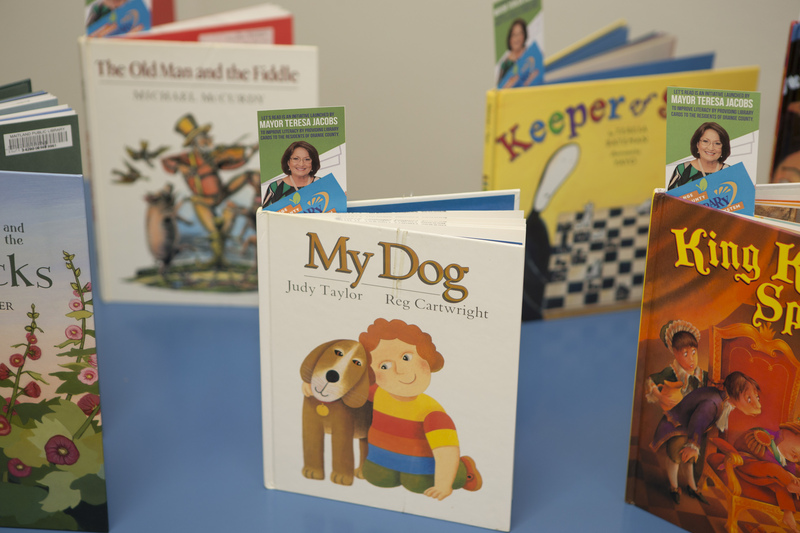 A series of literacy-based events is also planned in Orange County throughout 2017. 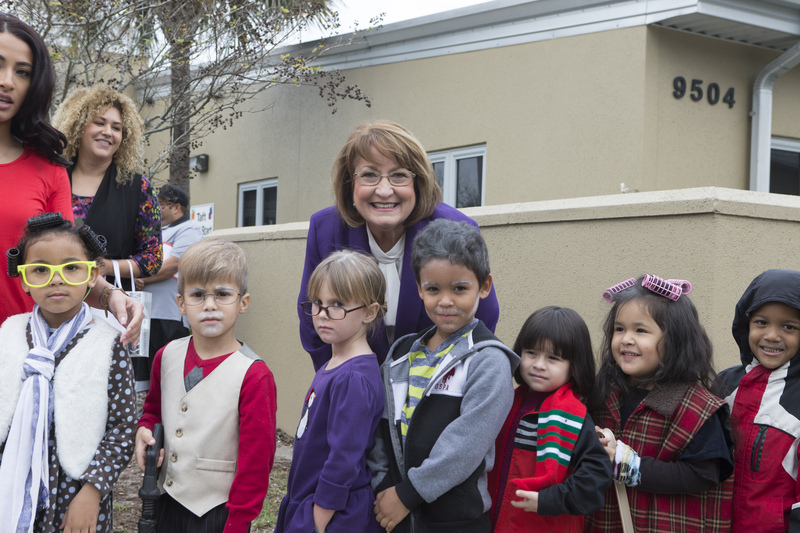 Mayor Jacobs read The Duckling Gets a Cookie!? 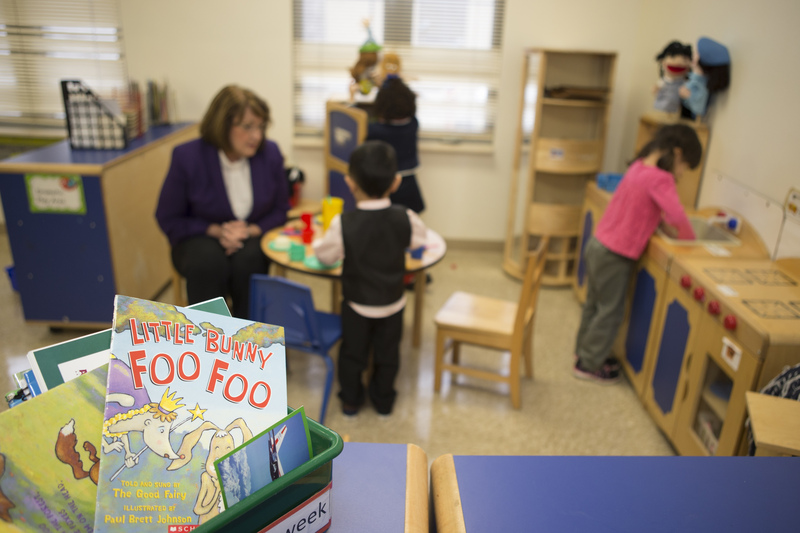 by Mo Willems to the Head Start children, who were between four and five-years-old. 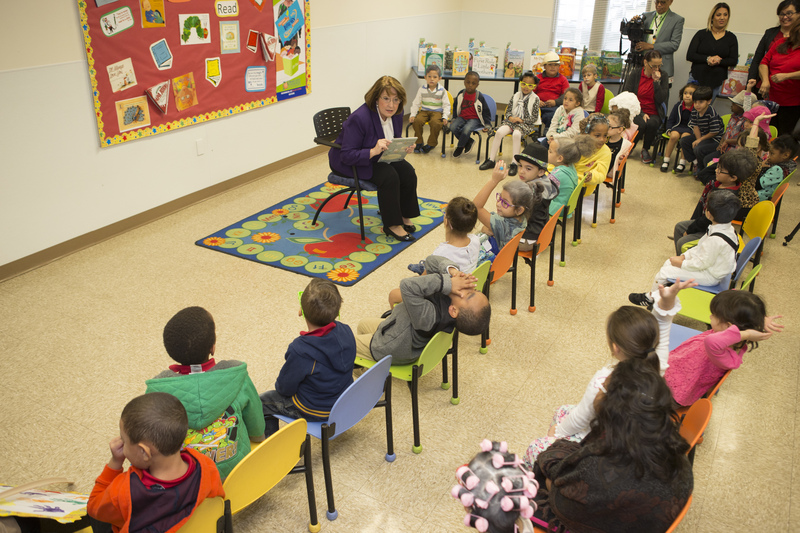 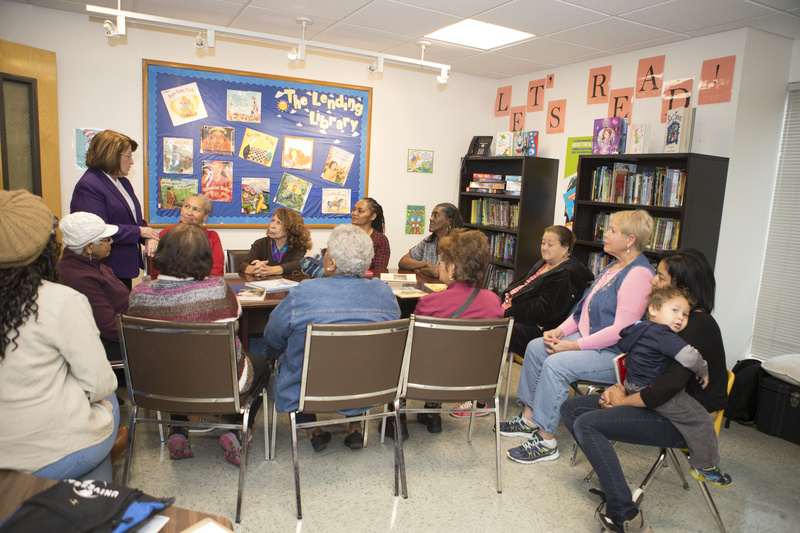 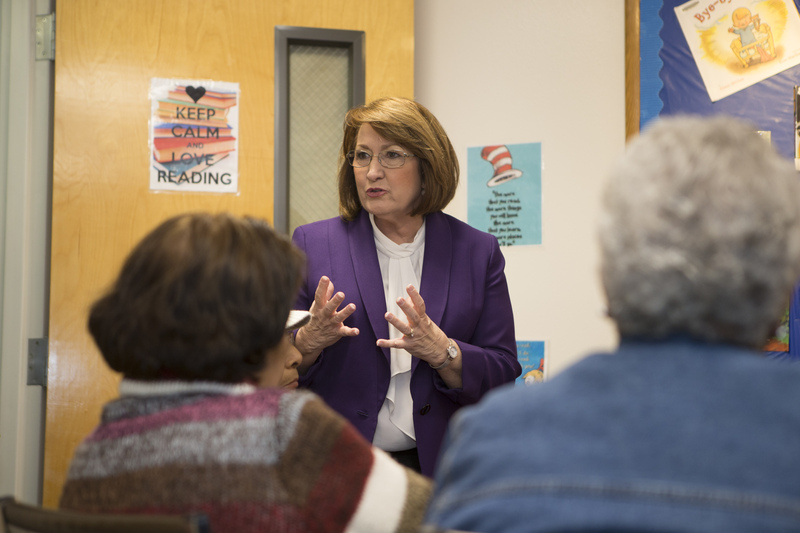 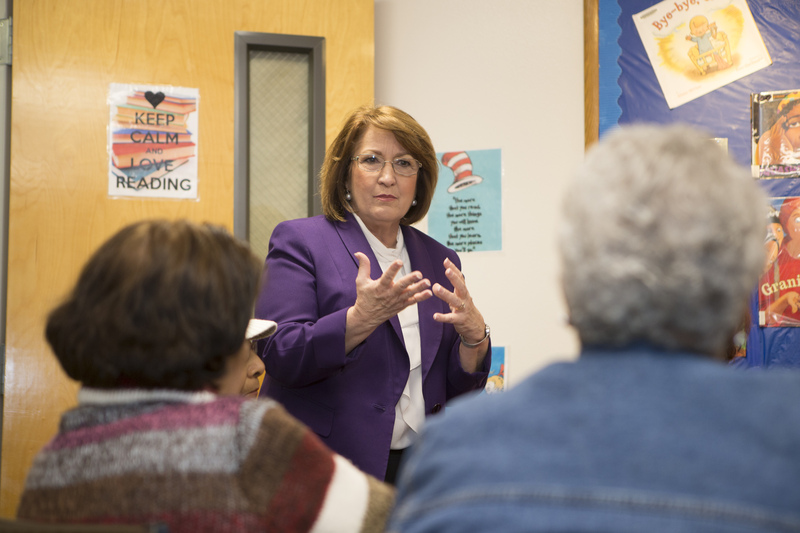 She discussed the importance of reading and reminded children about the benefits of having a library card. 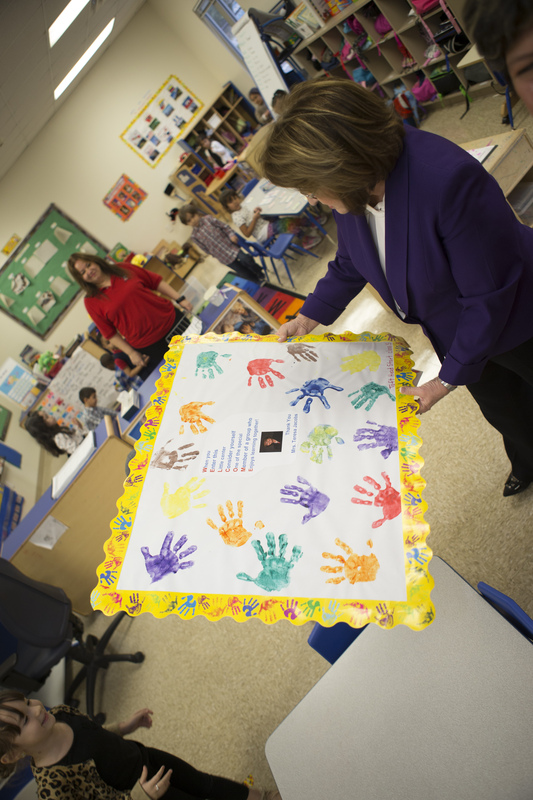 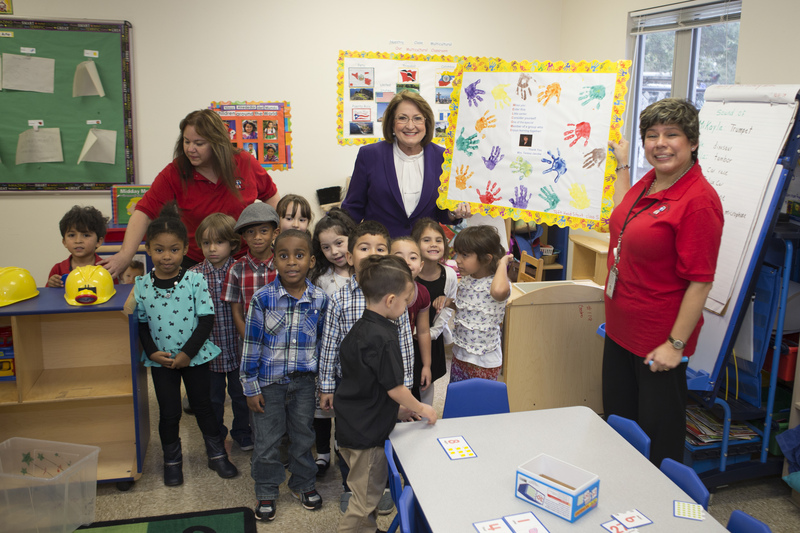 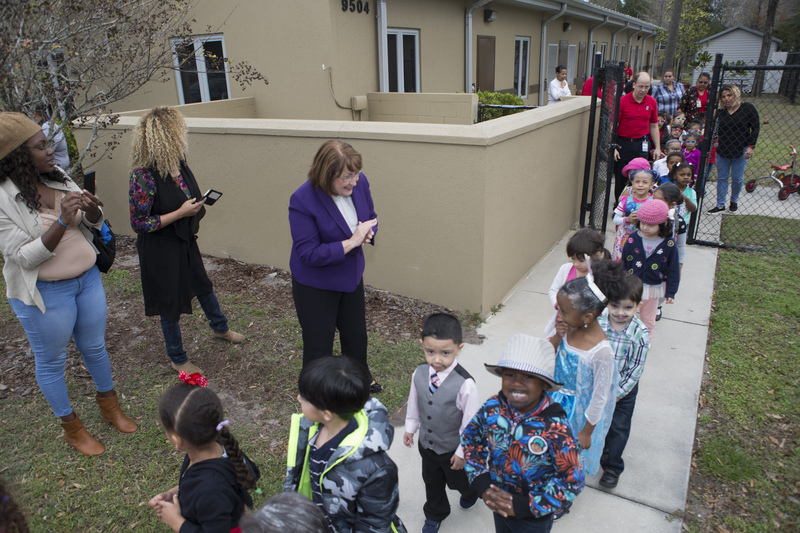 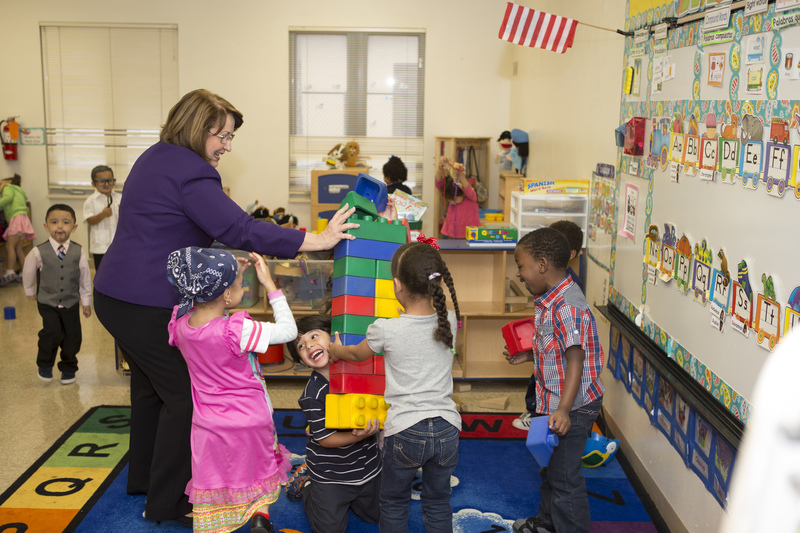 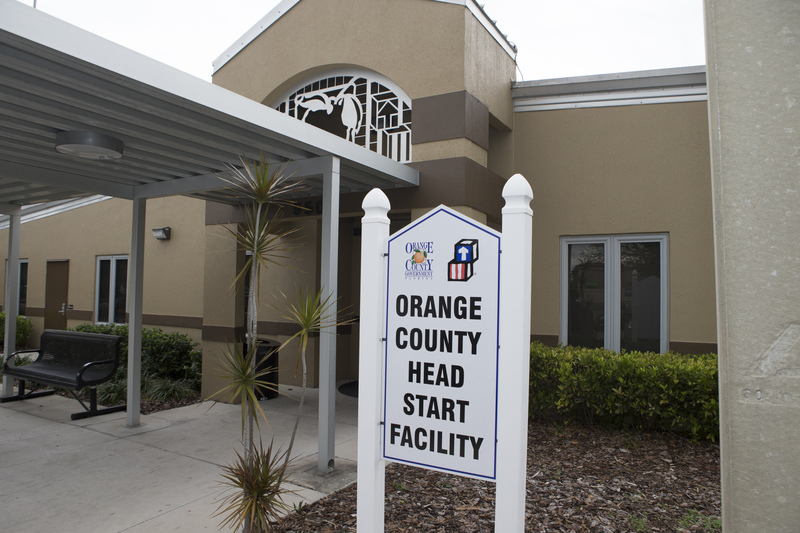 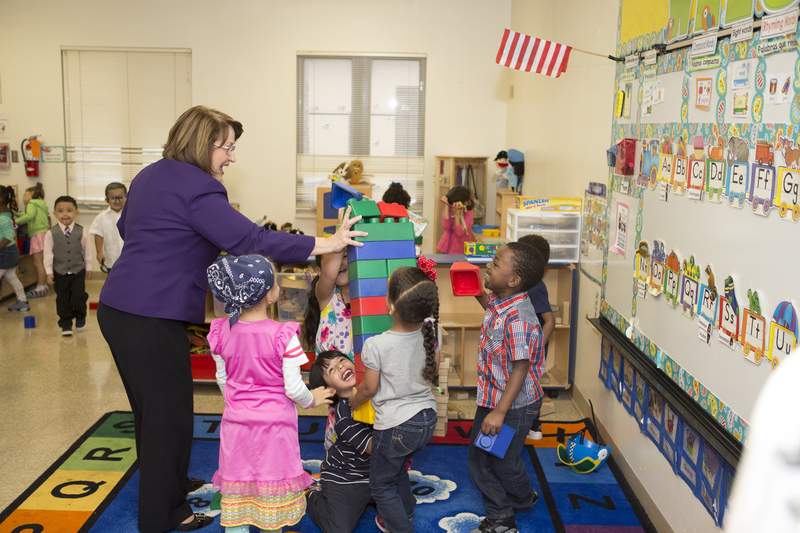 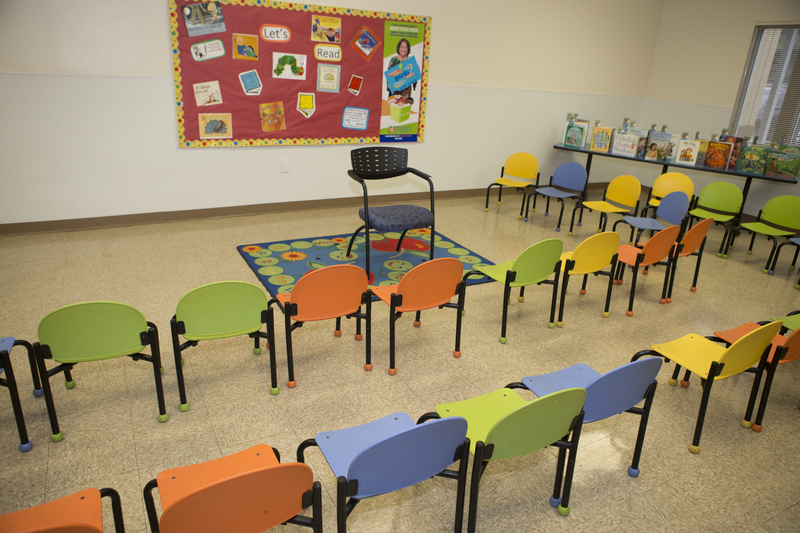 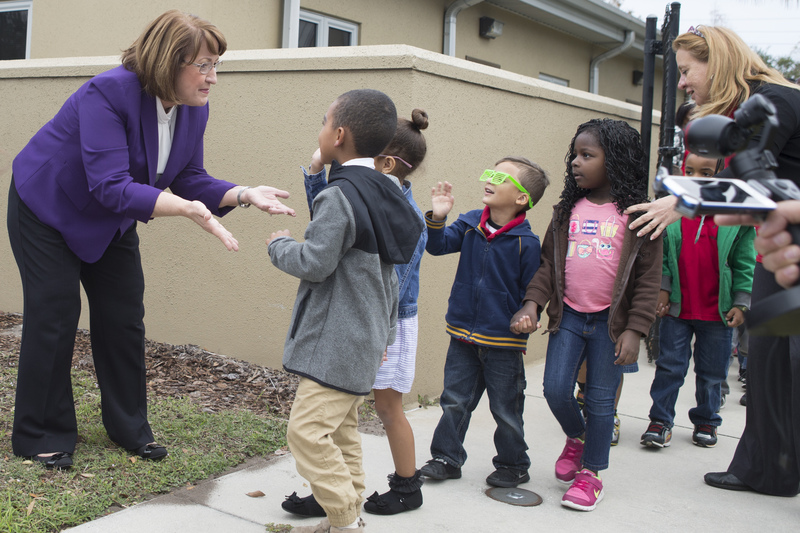 Orange County Head Start has a shared governance system between the Board of County Commissioners; the Policy Council; which is made up of parents 51 percent and 49 percent community partners; and County staff. 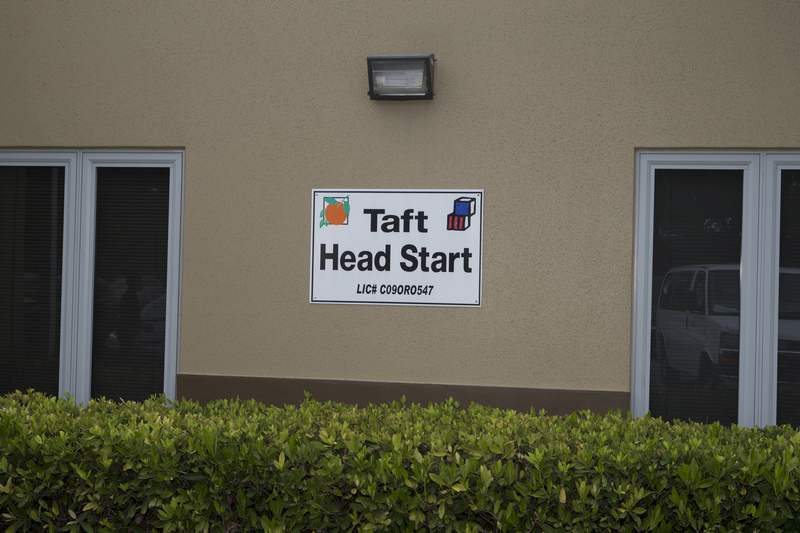 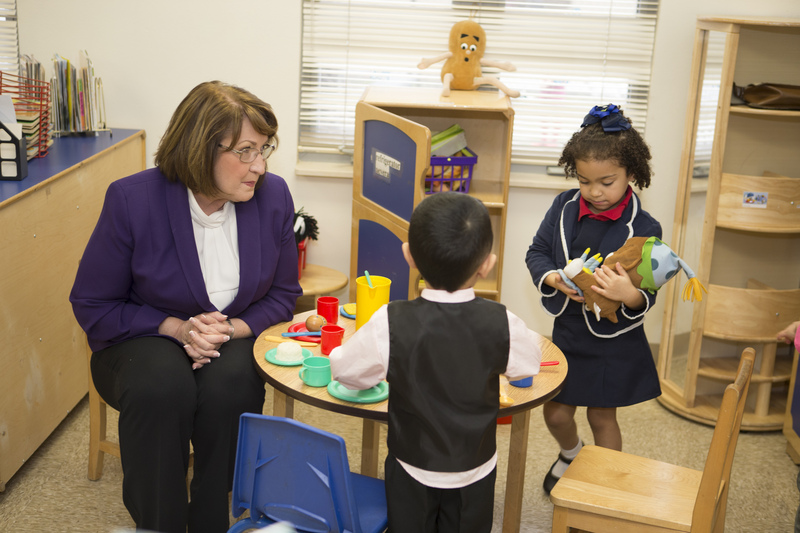 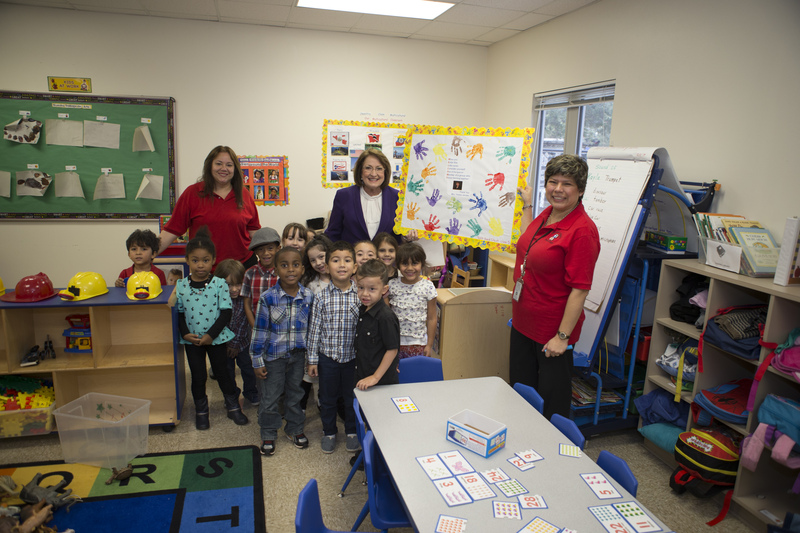 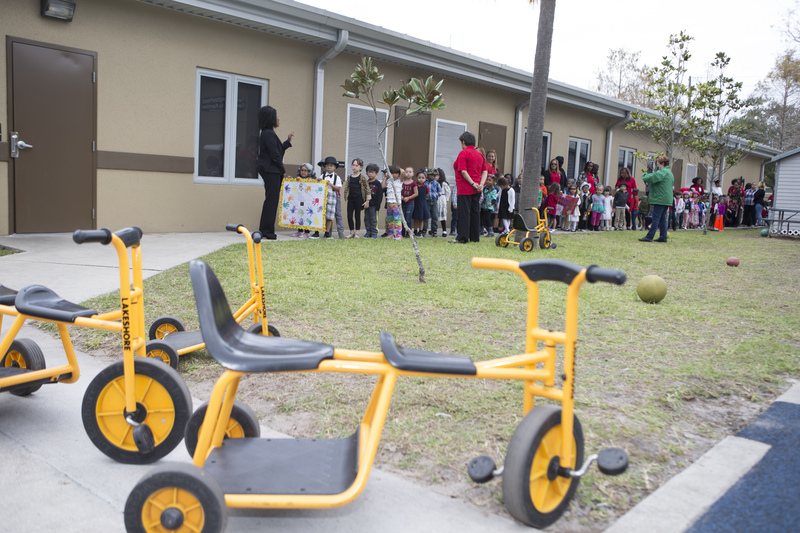 Head Start serves 1,536 children ranging from 3 to 5 years old at 22 centers across Orange County serving the most vulnerable population. 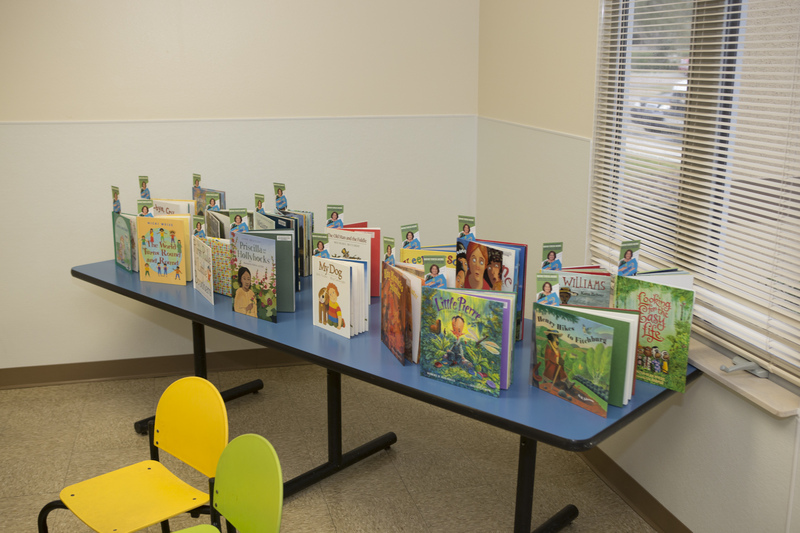 Let’s Read Orange County is a partnership between Orange County Government, the Orange County Public Library System and the Orange County Citizens’ Commission for Children. 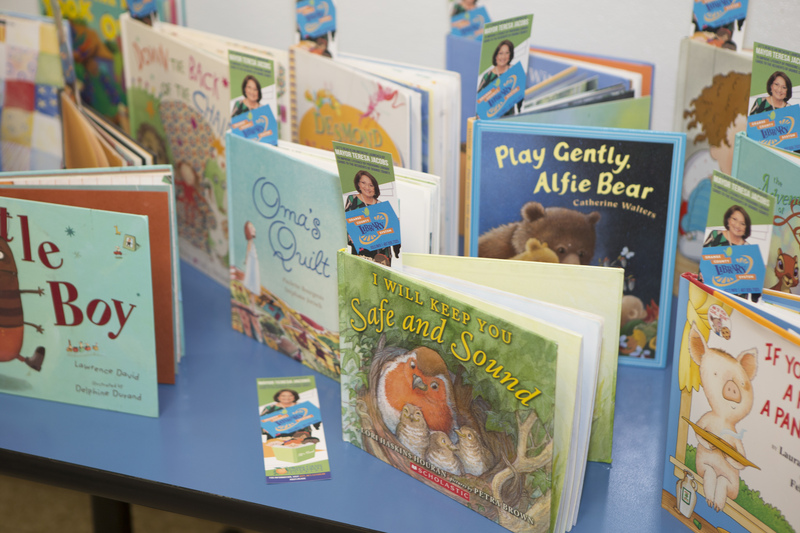 The initiative is co-chaired by Sarah Dewitz, founder of Just 1 Book, a charity that collects and distributes books to children in need. 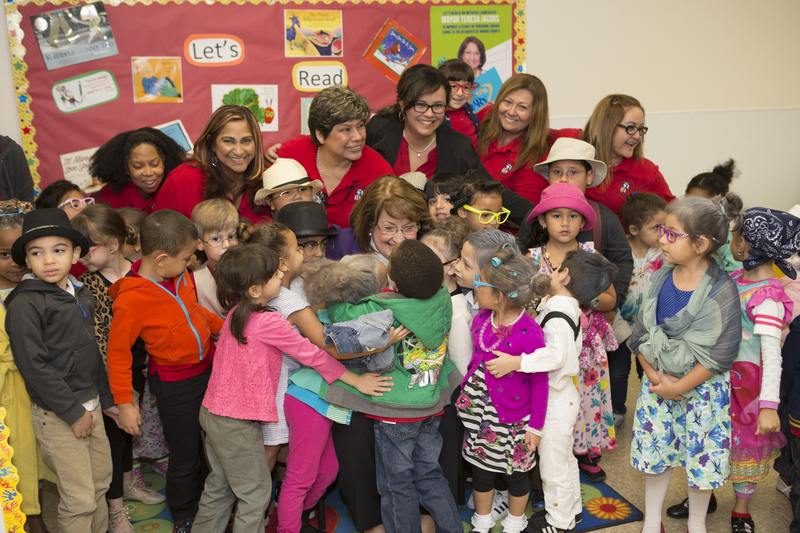 Since 2010, the organization has donated more than 500,000 books to children in Florida. 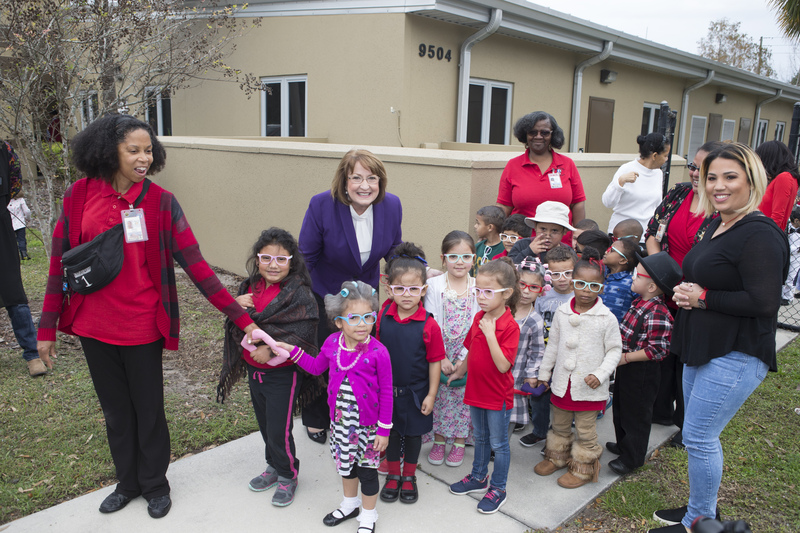 Orange County has proudly supported Dewitz throughout her charitable journey, including the donation of the Just 1 Book Mobile – a van that was formerly used for Orange County Head Start – that is now used to distribute books to families across Central Florida. 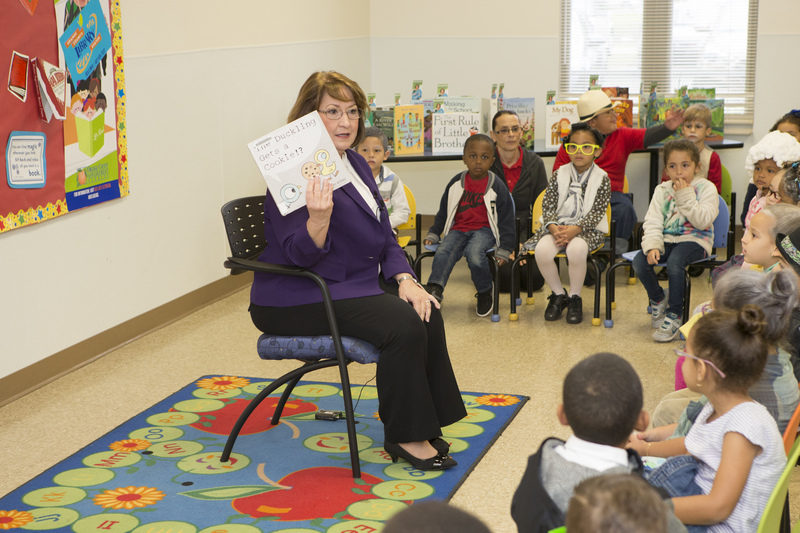 In honor of National Reading Day on Jan. 23, Mayor Jacobs and District 6 Commissioner Victoria P. Siplin teamed up with the WWE and First Book for the WrestleMania Reading Challenge at the Orange County Library in downtown Orlando, to encourage literacy and highlight the importance of reading to more than 150 first- and second-grade students from Lake Eola Charter School and Orange County Public Schools’ Fern Creek Elementary and Orlo Vista Elementary. 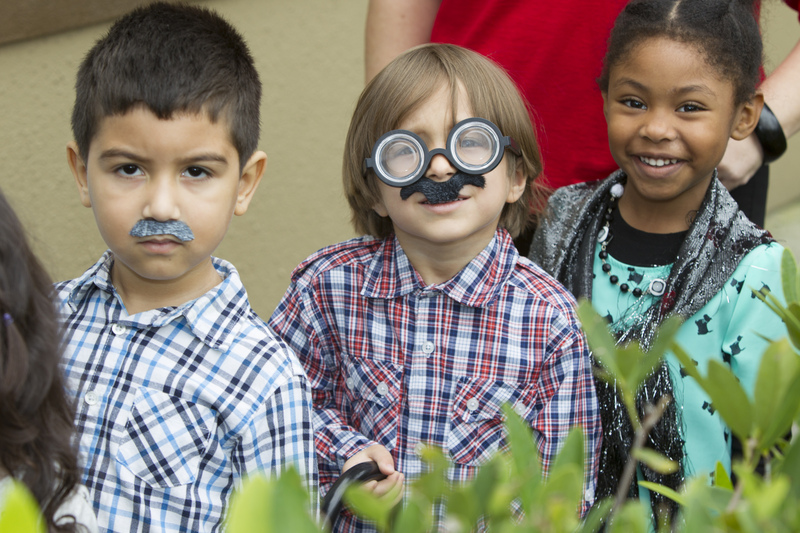 Camping World Stadium will host the WWE’s pop-culture extravaganza WrestleMania on April 2, 2017. 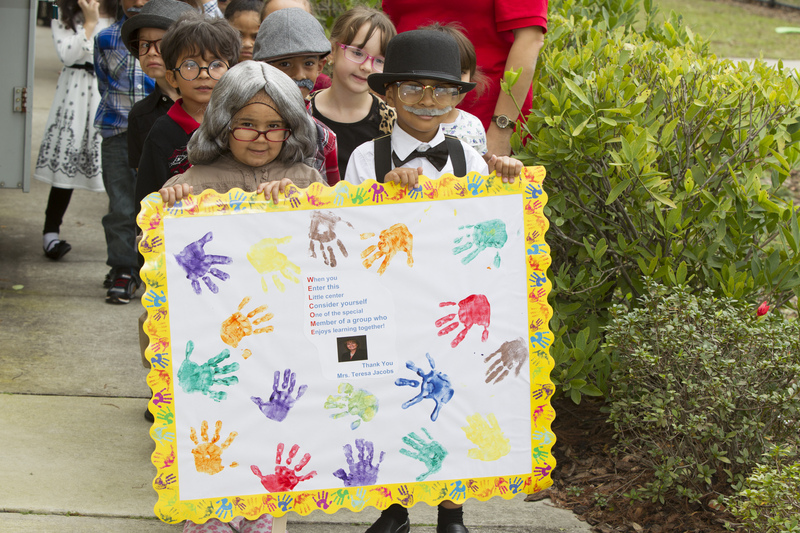 The WWE’s Darren Young, Zack Ryder, No Way Jose, Ember Moon and Dasha Fuentes gathered to read Niño Wrestles the World by Yuyi Morales to the children and provided a free book for them to take home. 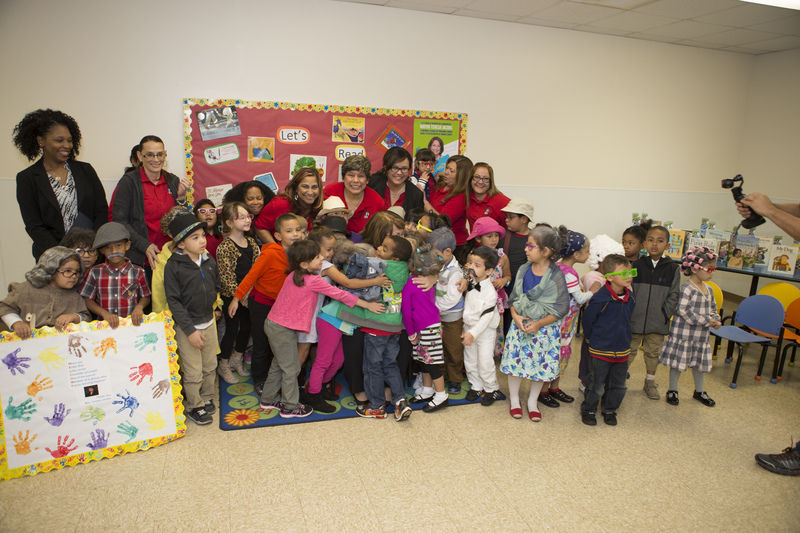 Niño Wrestles the World was chosen to help children find their own wrestling super powers. 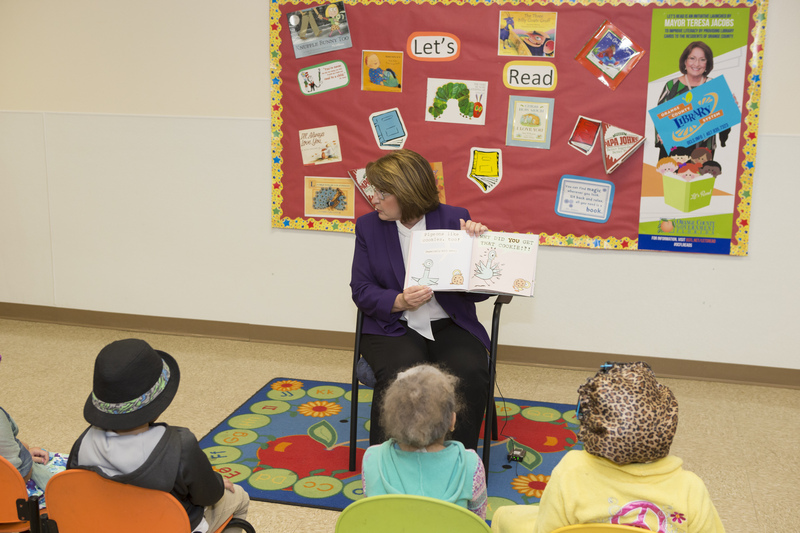 During the event, children discussed topics like their favorite books, why reading is important to them and how it has helped them in their lives so far. 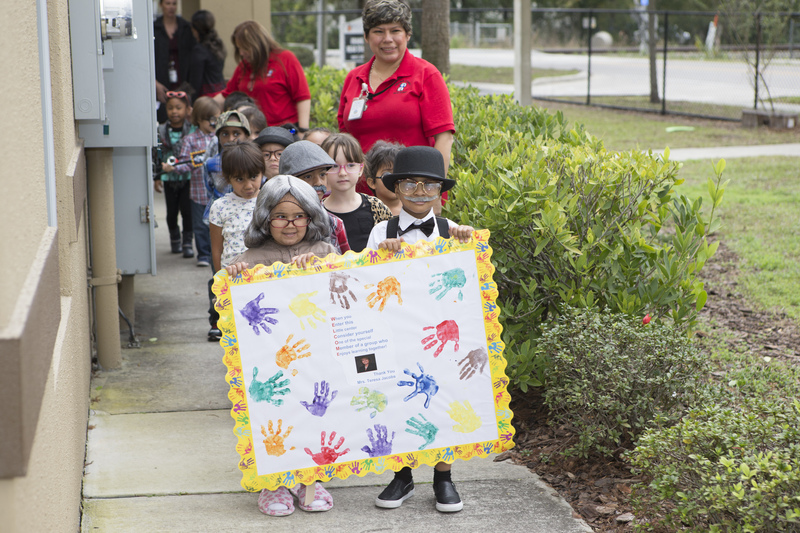 As part of WrestleMania in Orlando and through donations, WWE donated 20,000 books to Orange County Public Schools in conjunction with First Book, an organization that was also involved in the library event. 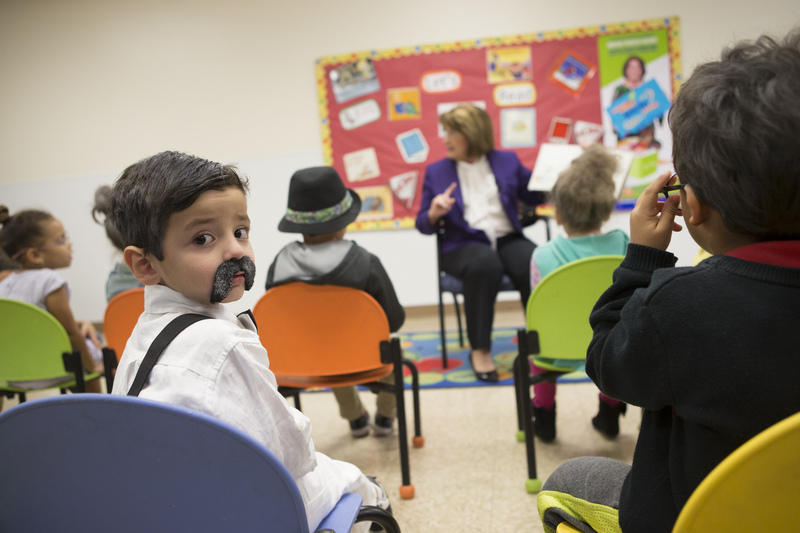 At the conclusion of the library event, students were able to make their own wrestling masks like the book’s main character, Niño. 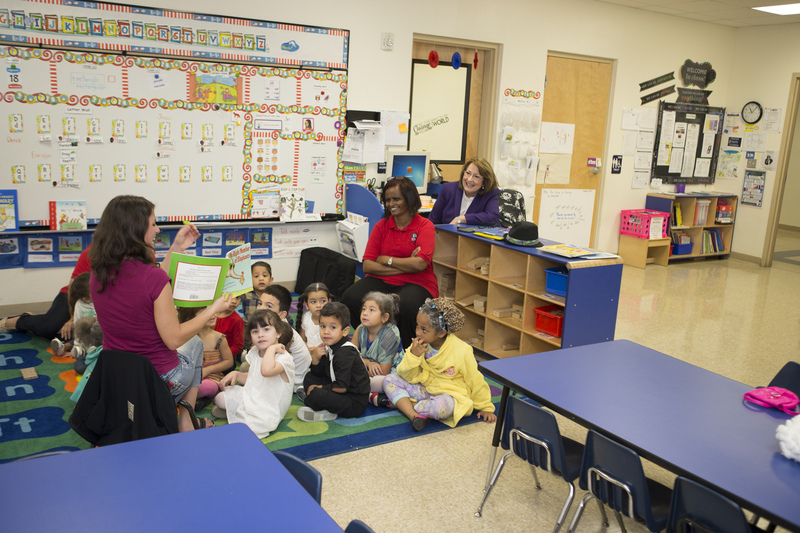 Reading to children is vital to their development and academic success. 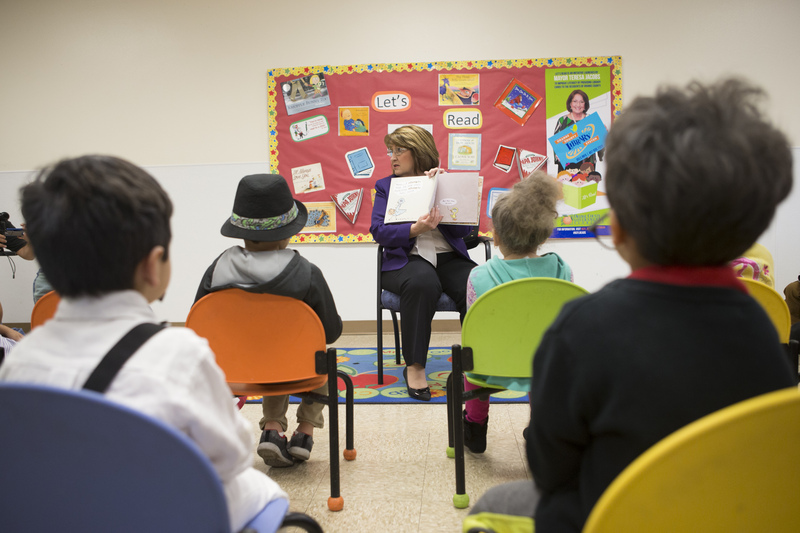 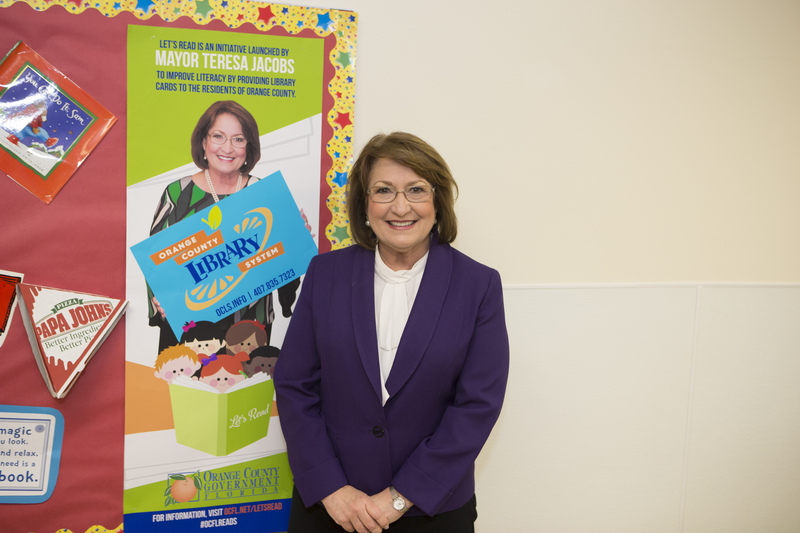 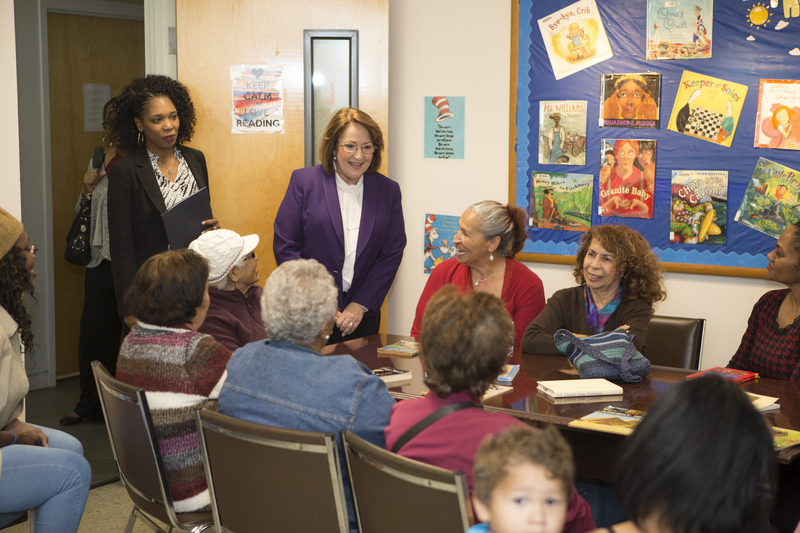 Mayor Jacobs hopes to encourage parents and children to read by creating awareness about the free resources and programs available to Orange County residents through the library. 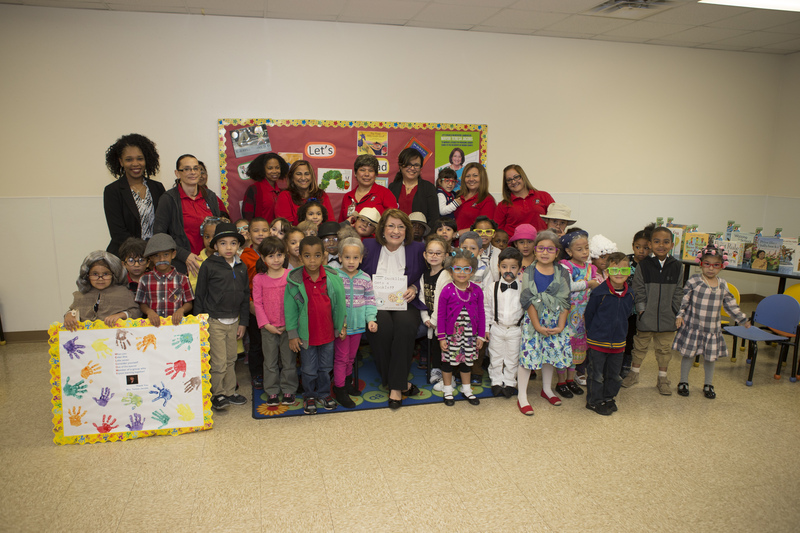 Additionally, the Board of County Commissioners (BCC) also recognized Celebrate Literacy Week, Florida! 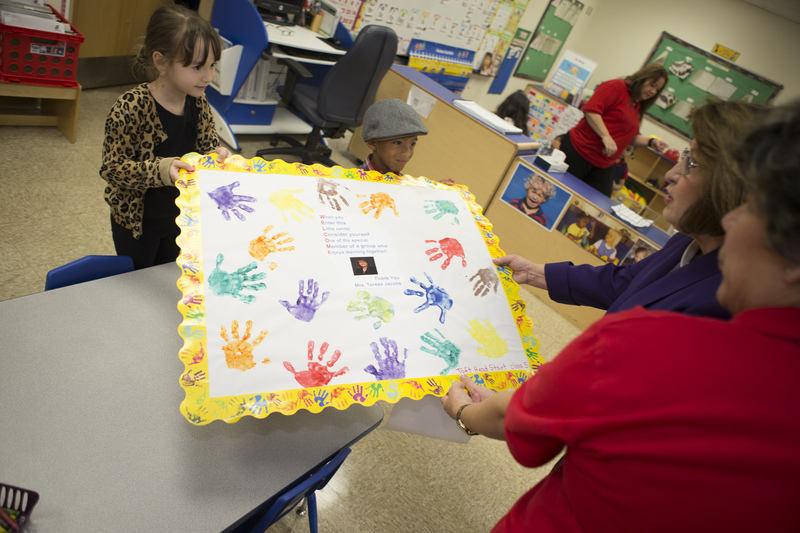 with a proclamation at the Jan. 24 BCC meeting. 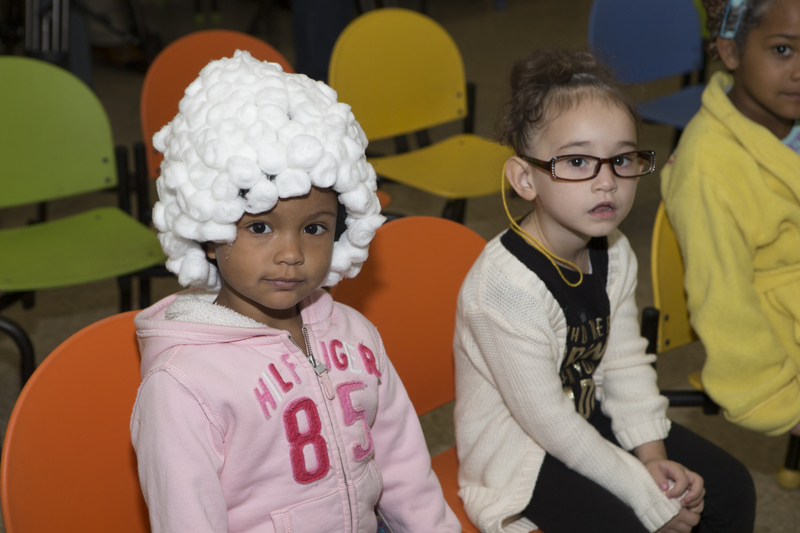 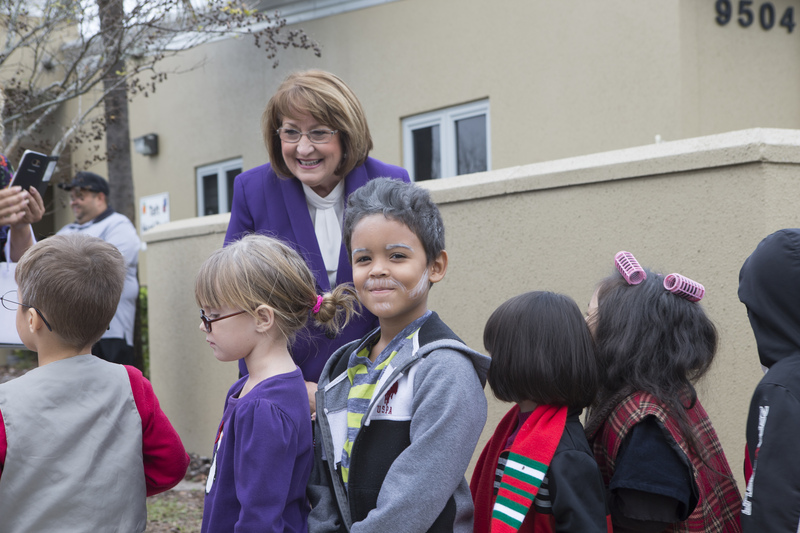 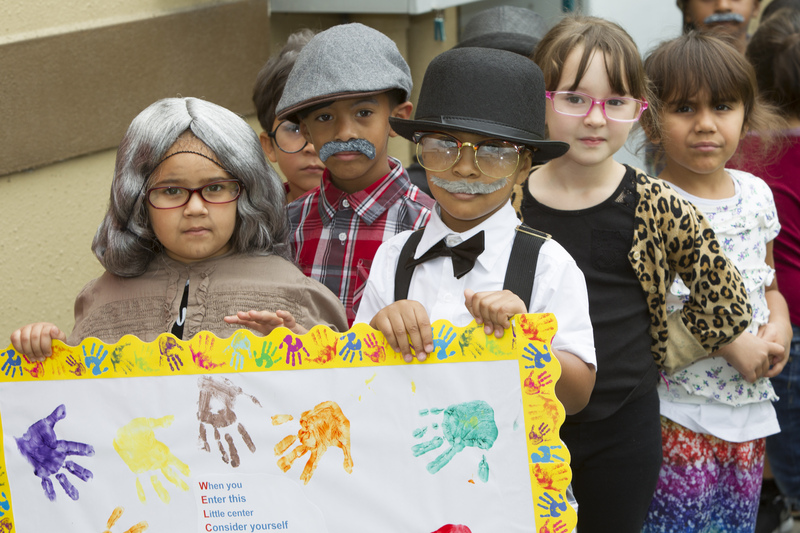 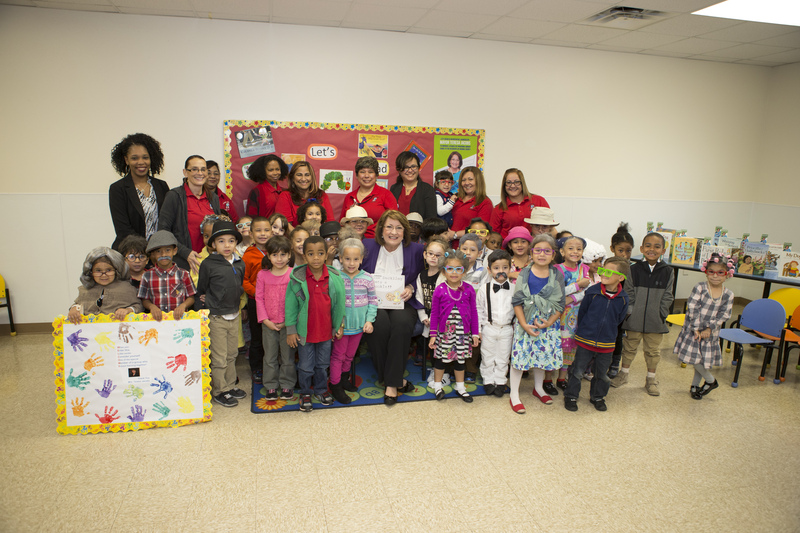 To view photos from the Reading at Taft Head Start, the WrestleMania Reading Challenge Kickoff and the Board of Commissioners meeting, visit Mayor Jacobs’ Flickr album.